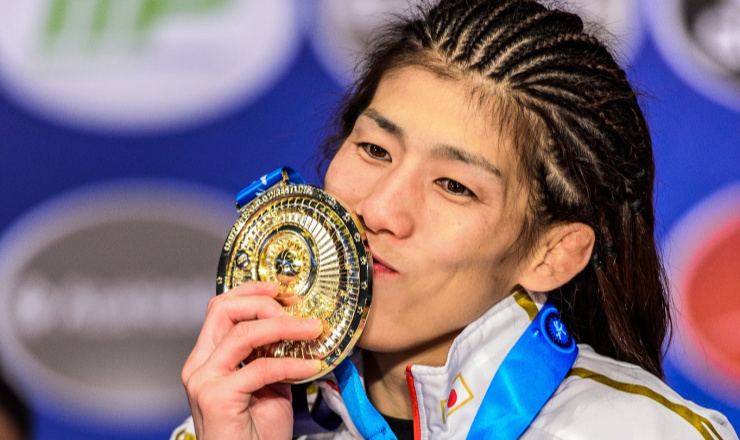 Saori Yoshida, three-time Olympic gold medalist in women’s freestyle wrestling for Japan, announced her retirement Tuesday, 18 months before the 2020 Tokyo Olympics. “I have decided to end my 33-year career as a competitive wrestler. “I have been able to do my best as an active wrestler because of the cheers and support from many people. Described as “wrestling’s most decorated champion” by OlympicChannel.com, Yoshida was a three-time Olympic champion, along with 13 gold medals in World competition, and four Asian Games titles. Yoshida won gold at the 2004, 2008 and 2012 Olympics at 55 kilograms/121 pounds, receiving a silver medal at the 2016 Rio de Janeiro Olympics in that weight class when she lost to USA’s Helen Maroulis in the finals. At the World Championships, Yoshida brought home 13 consecutive gold medals from 2002-2015. At the Asian Games, Yoshida claimed gold in 2002, 2006, 2010, and 2014. Yoshida began participating in the sport as a 3-year-old in her native Japan at her father’s wrestling school. She won her first World championship at age 20 in 2002. In addition to her wrestling medals, Saori Yoshida has received a number of honors beyond the sport. She served as the flagbearer for Japan at the 2012 London Olympics. In 2007, she became the first female wrestler to be named Japanese Athlete of the Year. Yoshida received the People’s Honor Award in 2012, after she surpassed Alexander Karelin’s number of consecutive world titles. The Russian legend had won three Olympic gold medals and nine world championships in the men’s 130-kilogram class between 1988 and 1999. Sermon on the Mat: I… what? !